Harris Corporation (NYSE:HRS) has received a $243 million contract from Lockheed Martin (NYSE:LMT) to provide fully digital navigation signals for the first two GPS III Follow-On (GPS IIIF) satellites — to deliver stronger signals, with greater operational flexibility. 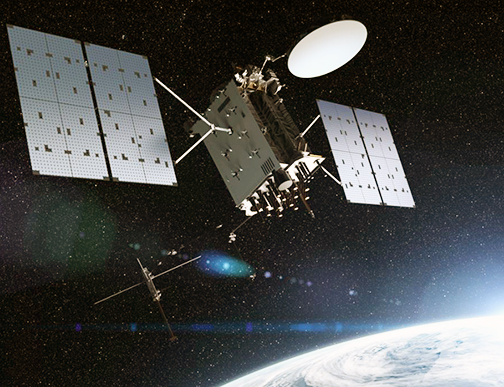 Artistic rendition of a GPS IIIF satellite. Image is courtesy of Lockheed Martin.